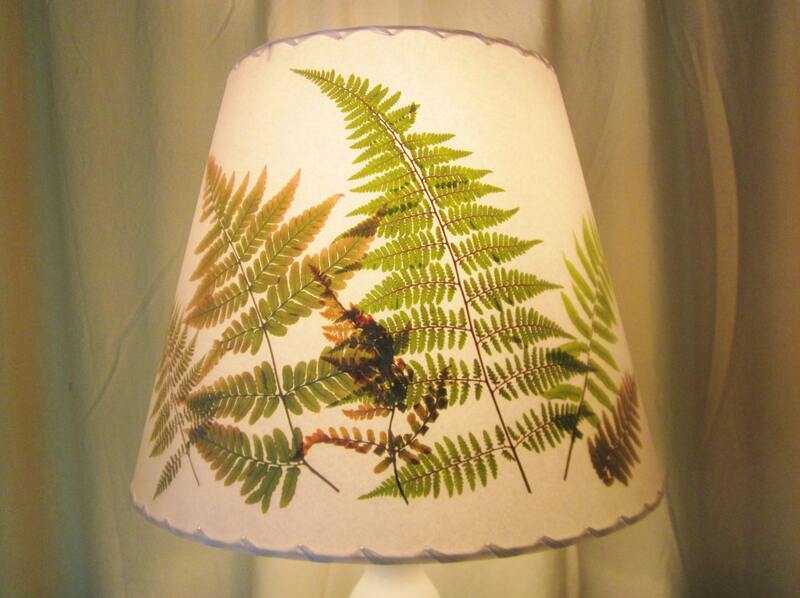 Assorted real NH woodland ferns are pressed and dried for this lovely modified drum lamp shade. The photo is not the exact shade you will receive but yours will be very similar in design with assorted large green and multicolored ferns circling the shade. The size is 9 x 14 x 11 and it has a washer top for your lamp with a harp. Other sizes are available if this size does not fit your lamp. Please convo me for a price on a different size shade. The plants are pressed and glued in between a styrene backing and a clear film. These shades are easily cleaned with a damp cloth. 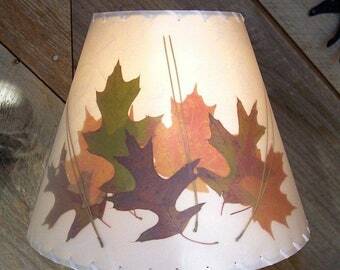 Botanical Lampshades have been made in Sandwich, New Hampshire since 1950 and are made with the highest quality materials for years (and even decades) of enjoyment. Please read my policies on lamp shade returns before purchasing. Custom shades are final sale so please be sure of the size and hardware before you order. Custom shades can not be returned. Many other sizes are available and custom orders are welcome. Smoke free, cat free home. Excellent work. Very,nnice. Thank you so much. 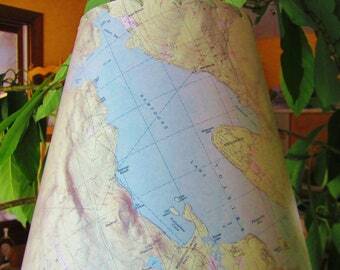 I am so pleased with my lampshade. I will treasure it for years to come. Jennifer has great ideas and is very helpful. Lampshade arrived quickly and well packaged. Thank you! These flowers arrived in great condition, and they're so pretty, will work great for the jewelry I'm using them in!